LAST NOVEMBER, the Asia Society in New York held its inaugural Asian Arts and Ideas Forum. 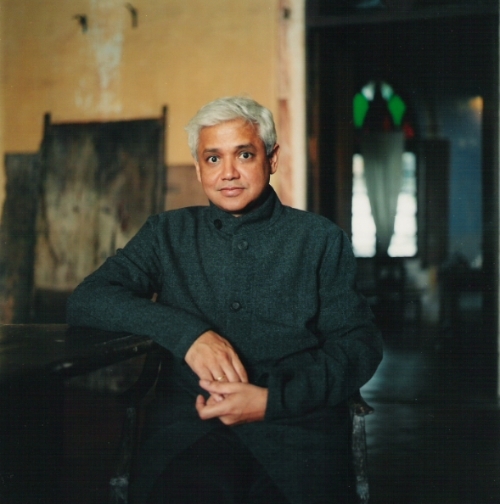 The theme, over three days, was ‘The Chindia Dialogues’ and the programme began with an evening of conversation between the Indian writer Amitav Ghosh and the China scholar and Sterling Professor of History Emeritus at Yale, Jonathan Spence. ‘Two wonderful people to take us back to the beginning of this relationship between China and India’, as Orville Schell, director of Asia Society’s Center on US-China relations, put it in his introduction. Three days earlier, Ghosh’s most recent book, River of Smoke, had been longlisted for the Man Asian Literary Prize, which will be awarded on 15 March 2012. The book is the second in his Ibis trilogy, which began with Sea of Poppies(shortlisted for the 2008 Man Booker Prize) and which continues to follow the lives of characters variously connected to the nineteenth-century opium trade. Sea of Poppies begins in India; by the time River of Smoke moves into full flow, much of the action is taking place in the Chinese city of Canton (now Guangzhou). Despite, or possibly because of the men’s evident respect for one another, the event only truly came to life during the question-and-answer session. The first questioner, an American journalist called Christopher Lydon, said to Ghosh, ‘You haven’t touched on the other way to read this book,’ before pointing out that the lead character in River of Smoke is called Bahram (not a major phonetic leap from the first name of US President Barack Obama), and asking if it could be read as ‘coded commentary’ on more recent wars involving that other ‘Big O commodity’ – oil. To read the rest of this interview and everything else in the ALR, visit our eShop to take out a subscription or buy a print or digital copy.